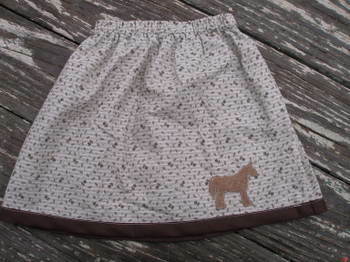 The horse skirt. 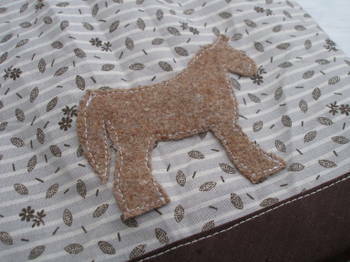 Next time I’ll hand stitch the horse. Too many twists and turns. Too much sliding off the fabric. love it!!!! I need to try my hand at more aplique!!! I love how it looks! oh Molly, that is so cute! That is one cute outfit! Love! Super cute, love those tights. the skirt is fantastic and so are those tights!! 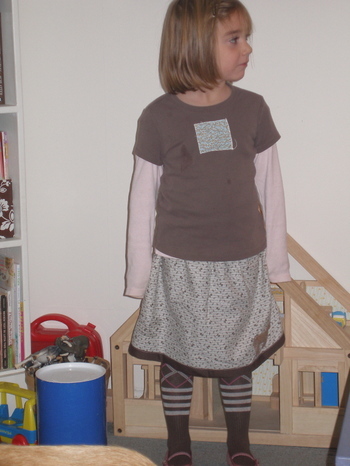 What a cute horsey skirt… the whole outfit looks fantastic!! Love it. And love her sense of style. If only I could find such cute tights for grown ups! Oh it is very cute! I love the small horse!